There's no denying that Roland make some of the highest quality music equipment on the market, and their digital pianos are very much a part of this. 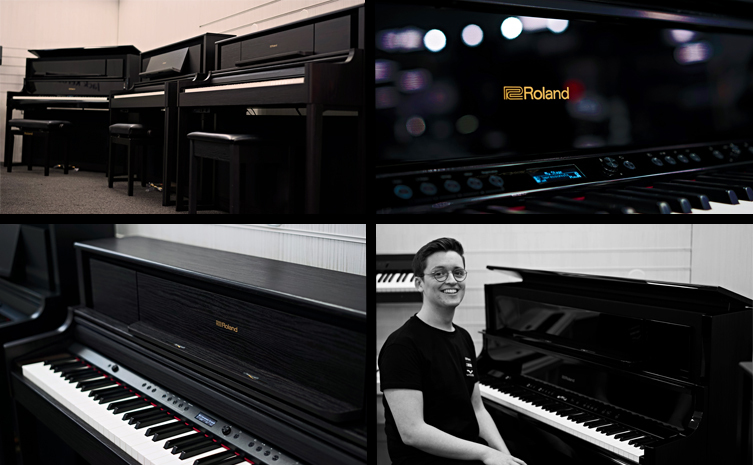 While they cater to a variety of price points with their huge range of quality pianos, the LX series sits as the prestige, the primo, the creme de la creme of Roland's home pianos. In this article, we'll be taking a look at exactly what these stunning pianos have to offer. Firstly, sit back, relax and watch esteemed pianist Miyuji Kaneko put the LX708 model through its paces. With the new LX700 series comes their new Hybrid Grand Keyboard. This features slightly longer keys than is usual for a digital piano, with a further back pivot point, meaning you don't need to press harder when you play further up the keys. You also have wooden side panels combined with a more durable inner frame. There's no need to worry about the keys shrinking or swelling with temperature changes! This is the next step in making digital pianos as high quality and as realistic as possible. This amazing new keyboard is featured on the LX706 and LX708 models, while the LX705 totes the still great PHA-50 action from previous flagship models. All new PureAcoustic Piano Modelling and PureAcoustic Ambience technology is featured on all models, meaning they all provide you with the same highly realistic onboard sounds. This technology is freshly designed with a familiar idea that was behind previous successful models. Where most digital pianos use sampling, which will generally loop the tail of note in order to create the decay, Roland use modelling that creates a more natural and realistic sound. PureAcoustic Ambience essentially recreates the piano's sound and the space around it. The 'My Stage' features lets you choose from a selection of piano sounds and playing venues. With this you can bring the sound of a big concert hall right to your living room. Combined with their new speaker system, this is a truly realistic piano listening experience! 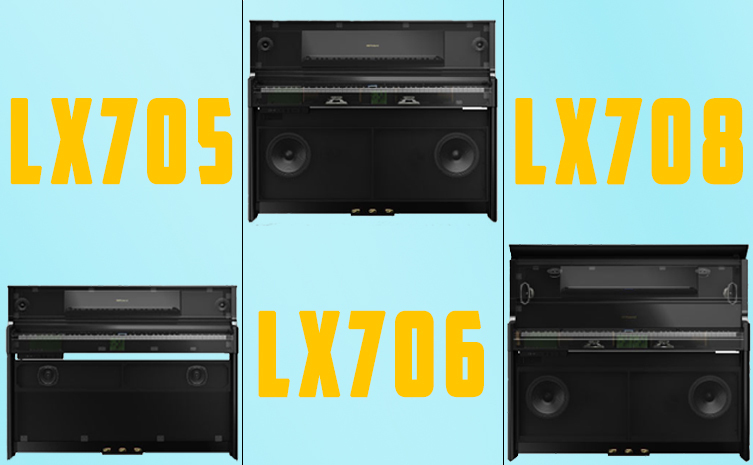 Each LX700 model features what Roland have dubbed an 'Acoustic Projection System', which fills the room with rich piano sound. You can hear all of those harmonic overtones and even the sound of the hammers hitting the strings. Roland have managed to accomplish this sound by having several different speakers resonate throughout different sections of the cabinet. We swear that you'll forget that you're not playing a high end acoustic piano in a matter of seconds. Also featured on these lovely pieces of equipment is Bluetooth MIDI and Audio. This means you can use the Bluetooth connection with a Smartphone or Tablet and enjoy playing with learning tools and apps, or even quickly knocking up compositions in a program like Garageband. With Bluetooth audio you can stream music through the piano's speaker system, filling the room with high resolution sound and helping you get lost in your favourite tunes! There are plenty of onboard songs for learning and performing with. There's also a Twin Piano mode so student and teacher can play side by side! Still here? We're surprised you haven't bolted to your nearest shop to try them for yourself!